Nuclear radiation –which threatens life on planet earth– is not front page news in comparison to the most insignificant issues of public concern. Rain from Typhoon No. 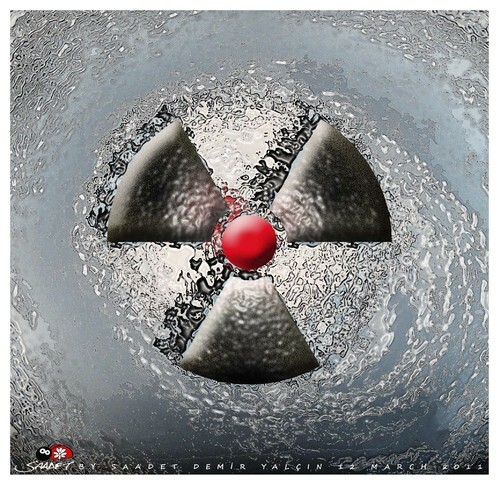 26 apparently flushed out radioactive materials at the Fukushima No. 1 nuclear plant, leaving water with high strontium levels in a drainage ditch that connects to the ocean. Tokyo Electric Power Co., the plant operator, said Oct. 17 that radioactive strontium and other beta rays measuring 1,400 becquerels per liter were detected at the drainage ditch about 150 meters from the ocean. The legal standard for strontium emissions is 30 becquerels per liter. The water was collected on Oct. 16, when the typhoon swept over eastern Japan. 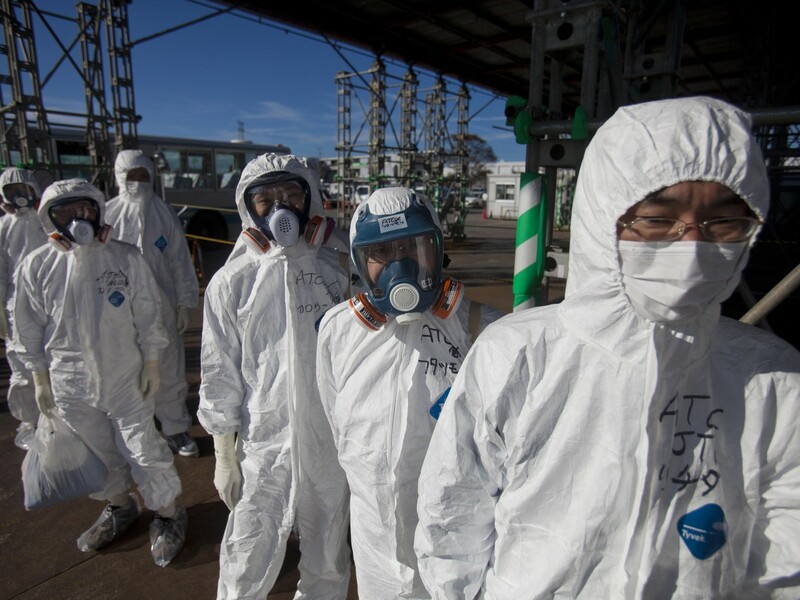 The previous day, the radioactivity level was 19 becquerels per liter, according to TEPCO. Rainwater released from a barrier surrounding tanks storing radiation-contaminated water on Oct. 16 had radioactivity levels that were lower than provisional standards approved the previous day by the Nuclear Regulation Authority. For that reason, that rainwater is not believed to be the cause of the high radioactivity levels in the drainage ditch. TEPCO workers will clean up the drainage ditch because the highly contaminated water may have flowed into the ocean.